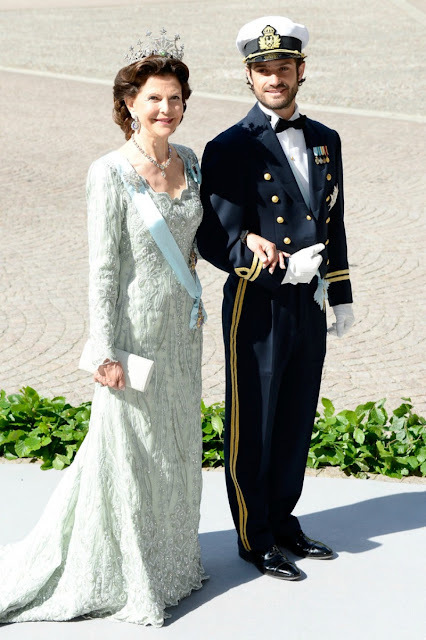 Our usual parade of best-dressed Hollywood starlets is on hold this weekend due to the regal wedding belles that could be heard throughout Sweden on Saturday for the marriage of Princess Madeleine of Sweden (fourth in line of succession for the Swedish throne!) and American financier Christopher O'Neill. While the bride was absolutely resplendent in a gorgeous silk organza confection with appliquéd ivory-coloured Chantilly lace by Valentino, her regal guests were definitely no shrinking violets! beautiful!!! 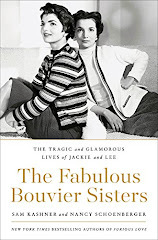 truly a gathering of royal fashion starlets. The bride look absolutely stunning! 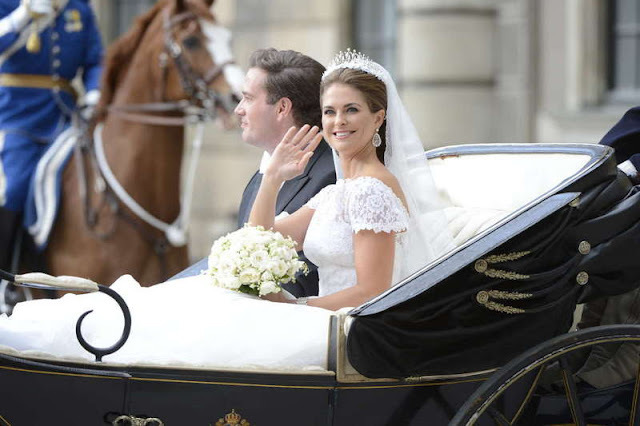 Princess Madeleine looked absolutely beautiful. I wasn't overly fond of her dress at first but grew to like it the more I looked at it. My fav of the day was her sister, Princess Victoria, her gown was stunning and she looked marvelous! 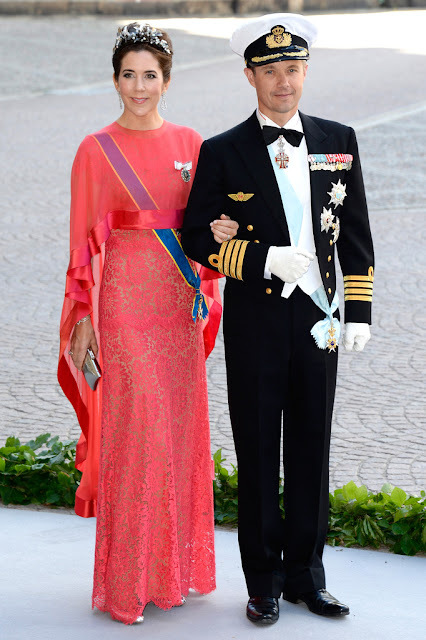 When the dress code is white tie, tiaras, and royal orders, WHY OH WHY did Charlene wear nothing?!?! The bride looked lovely and her Valentino dress was took my breath away. I was thinking the same thing! She is such a beautiful woman, why not give the jewels a whirl and really shine like the rest of them?! Hope you are having a lovely week too my friend!! Always love to hear a man's perspective!